For more information about how this web site works and its benefits, click the Play button in the video frame above. If the video above does not play, or if you prefer a written version, please click here. Here around me are the available destinations that you can choose. Each is designed to help you cope with different challenges. 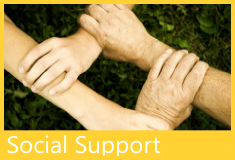 At the Social Support Destination, you learn how to reach out to others to help you with your situation. 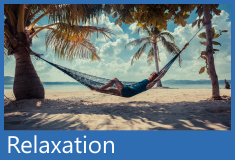 For strategies that help you manage your tension and axiety, go to the Relaxation Destination. Sometimes you may need help dealing with your memories or with reminders like sounds or smells which can cause significant distress. The Triggers Destination has ideas and techniques to help with that. The Self-Talk Destination will teach you how to be your own best advocate and the importance of your thoughts in improving your recovery. There are common pitfalls that we would like to help you avoid in your recovery. Those are highlighted in the Unhelpful Coping Destination. 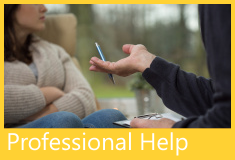 The Seeking Professional Help Destination is a practical guide that will help you determine if you would benefit from some professional assistance. 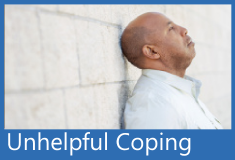 It is especially helpful for people experiencing significant distress that lasts more than a month and does not seem to be getting better. If at any time you need other assistance, please call NAMI (866-960-6264) to access other resources. 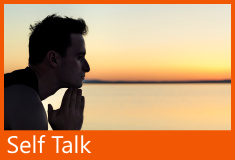 Those resources include: a referral to a local counselor for individual or group therapy; a drop in session location for attending open counseling sessions; access to free yoga and iRest meditation sessions; or to book a trained facilitator to come out and educate your group of up to 20 people on signs of trauma and coping strategies.